This is such an obscure Hans Christian Andersen fairy tale that I’d never heard of it before now. The protagonist is a scholar who has recently relocated to a very hot country and is not coping well; he shuts himself up inside the house all day and loses an unhealthy amount of weight. It’s only when the sun goes down that he feels like himself. He spends the evenings sitting on his balcony, listening to the city nightlife, and speculating about the inhabitants of the house across the street. He’s never seen anyone living there and the ground floor is entirely occupied by shops, but there are flowers flourishing on the balcony and sometimes the scholar hears music drifting from the windows. One night he wakes to see the mysterious house bright with lights, and a beautiful girl standing amongst the flowers. By the time he goes to the balcony for a better look, however, the illumination is gone and the girl too. The only sign of life is the distant sound of music. After that the scholar becomes a little obsessed. Another night, while he’s on self-appointed stakeout, the angle of light in his own house casts his shadow against the balcony opposite, so it looks to be standing among the flowers. The scholar jokes aloud that it should seize the opportunity to sneak inside and look around. He then stands up, and the shadow stands up too – but when the scholar goes inside his house, the shadow goes into the house across the street. When the scholar wakes the next morning and realises his shadow is gone, he’s really annoyed, because this would make a fantastic story but someone else wrote it down first. Is this a reference to Peter Pan? Anyway, he tries to lure his shadow back with cunningly arranged lights, but no dice, it’s disappeared. It’s not the end of the world – within a few weeks the scholar has grown a new shadow and when he goes back to his home in the north no one can tell the difference. He writes a number of philosophical books and keeps the story of the shadow to himself. Years pass. Then one day, a soft knock sounds at the scholar’s door and he opens it to find a strangely thin man standing on the step. “Whom have I the honour of addressing?” the scholar enquires politely. “Ah, that is just what I expected!” exclaims the stranger, “that you would not know me. I have become so thoroughly flesh and blood, and covered with clothes too, and, no doubt, you never expected to see me so well off. Do you not know your old shadow?” Since they parted ways all those years ago, the shadow has become a very wealthy man, and has come to discharge debts with his…twin? Of sorts? The scholar waves away any suggestion of a debt and welcomes the shadow inside as an old friend, eagerly asking for his life story. The shadow is willing to tell him all on one condition: that he reveal to no one the truth of their association. This agreed upon, the shadow settles into a chair. He’s quite an impressive sight, dressed all in black with leather boots and diamond rings – and turns out he has some fancy names to drop as well. Their old neighbour, the one whose house he moved into after he left the scholar, was actually Poetry. As in, the goddess thereof. TARDIS-like, her house was bigger on the inside, and full of strange marvels. Under her influence, the shadow transformed into flesh and discovered ambition. He became a creature of the night, running through the streets and spying on the unwary to learn what being human meant. “It is a bad world,” he remarks, “and I would not be a man were it not that it is a position of accepted importance.” Using his unique set of talents, he became a master blackmailer and won everything he now has that way. The scholar is freaked out and refuses. Things don’t improve for him, though. He loses weight again and people begin to say he looks…like a shadow. Well, that’s not alarming at all. His rich friend returns, this time advising a trip to the baths (meaning hot springs). “I pay the expenses, and you can write the description of our journey, and can amuse me a little on the way,” he says airily. “I want to go to the baths, for my beard does not grow as it should, which is an illness too, and one must have a beard. Now be sensible, and accept my offer; we shall travel as friends.” The scholar accepts, and if his former shadow insists on positioning himself according to the sun, so that the scholar falls behind as his shadow – it’s nothing more than an eccentricity, right? At the baths they meet a lovely and perspicacious princess, who does not believe the rich man’s story about his beard for a minute, because she sees he casts no shadow. Curious, she confronts him about the matter. “I know that your illness was seeing too clearly,” he replies, “but that defect has evidently left you, and you are cured. I have not only a shadow, but a most extraordinary one. Other people have only a common shadow, but I do not like what is common. People give their servants finer clothes than they wear themselves, and I have made my shadow human.” With that, he gestures to the scholar. She makes swift arrangements, and the shadow does likewise. He offers the scholar a generous living allowance and a place at court on the condition that he pretend their roles are reversed, and have always been so. “You must allow yourself to be called shadow by every one, and not say that you have ever been a man; besides which, once a year, when I sit on the balcony and show myself to the people, you must lie at my feet, as it becomes a shadow to do.” The scholar is appalled and flat out refuses. He tries to warn the princess, but the shadow has him arrested and imprisoned. He then goes to the princess himself to tell her his ‘shadow’ has gone mad. “Poor shadow!” the princess exclaims. “He is very unhappy, and it would be a real blessing to release him from his sufferings.” The shadow sighs at dreadful necessity and agrees with all speed. That night he weds the princess, and the scholar is executed. This kingdom is in a lot of trouble. While not strictly a ghost story, I think this counts as Halloween appropriate, by virtue of just being so disturbing. Hans Christian Andersen had a remarkable, if morbid, imagination. Right up until the end you assume the scholar will escape – but it’s the shadow who gets a happy ending. Perhaps. The princess is, after all, quick to notice strange things. Hopefully she’s more than a match for her murderous magical husband. The undead are out of the crypt and it’s a brave new world of legal bureaucracy. When an old graveyard is uncovered during the excavation of a chunk of multi-million dollar real estate, bringing the true ownership of the property into question, Anita Blake is brought in to question the only people who can resolve the issue for sure: the dead themselves. Sorting one pile of mangled bones from another while not ripping into her belligerent client is enough of a challenge – and that’s before she learns there’s a sword-wielding supernatural killer at large in the woods. I think of the Anita Blake books as urban fantasy, but they could just as easily be classified as horror. The plot twists delve into very dark territory, edged by gallows humour. Hamilton has constructed a fascinating reality, though, and I love her focus on the bureaucratic implications the undead bring with them. Anita remains fantastic as a protagonist, though I worry about her life choices, and I still want to punch Jean Claude in the face every time he shows up. The series continues with The Killing Dance. Stories are powerful. They are the amber in which lost voices are preserved; through them, you can slip inside someone else’s skin and see out of their eyes. Stories turn wishes into opportunities, because if you can imagine a thing then it is not quite impossible. This week’s Fairy Tale Tuesday is taken from Virginia Hamilton’s The People Could Fly: American Black Folktales (Walker Books, 1988), an anthology of stories originally told by African slaves and retold by generations of black American storytellers. This one is the last in the book, and the one for which the collection is named. I warn you, it’s not easy to read. ‘Say that long ago in Africa, some of the people knew magic’. And these magicians can walk through the air, or spread wide wings and fly away. Nevertheless, when the slavers come, many are captured and forced to leave their wings behind. Crowded onto ships and carried far from their homes, the magic is buried deep. A secret that must never ever be told. Two slaves with the secret end up on the same plantation – an old man known as Toby, and a young mother called Sarah. Their ‘owner’ has thugs in his employ to patrol the fields with whips and savage tempers, keeping everyone in such a state of terror they keep labouring through the long day. These are about the worst possible working conditions for the mother of an infant. When the baby strapped to Sarah’s back wakes up and starts crying, she dares not stop. What comfort can she possibly give? The overseer tells her to make the baby shut up, because he is not only a thug, he’s really stupid – as the crying continues, he HITS THE BABY WITH HIS WHIP. Sarah falls to the ground, her baby screaming twice as loud. Toby comes to her side to try and help her up, but she can’t stand – burnt by the merciless sun, heartsick at the sobbing of her child, she sits there despairing in the row. The overseer returns, swinging the whip until her skirt is tattered and her legs are bloody – a mindless, pointless brutality. “Go,” Toby whispers to her, “as you know how to go!” Lifting his hands, he breathes words of magic and Sarah rises into the air, her baby clasped tightly in her arms. Clumsy at first, she rights herself in the air and soars above the trees. Though the overseer runs after her, his shouts are empty threats: she’s gone and she’s never coming back. So what’s a petty tyrant to do? Pretend it never happened, of course. The next day things go on the same way as before, and because that way is horrific beyond all description, another slave collapses. All the overseer’s beatings can’t get the young man up, but Toby leans to whisper in his ear, and the words lift him up like gravity itself is rebelling. He rides the air currents higher and higher and at last disappears into the distance. As one slave after another succumbs to heat and maltreatment, Toby is there to give them wings. Even the overseer can’t deny this is magic any more, and that every time it happens, the same old man is there. He shouts for Toby to be seized. The plantation’s owner comes running, drawing a gun to murder the old man in cold blood. “Don’t you know who I am?” he demands. “Don’t you know some of us in this field? We are the ones who fly!” Throughout the field the slaves stop work, caught by the elusive whisper of the language they have been forbidden to speak. They catch each other’s hands, rising through the air like a flock of birds, far beyond the reach of a whip or bullets. Toby flies behind them, looking down at the seemingly endless fields, and the wondering slaves watching him pass above their heads. He has no time to stop, no time to give them wings – he can’t save them all. They must wait, and run if they can. This story is rooted in one of the ugliest events of human history. It is the dream of freedom, devastatingly out of reach for so many of those who needed it most, but kept stubbornly alive – after all, if you can’t escape in body, you can try in mind. Stories like this took courage. The least they deserve is remembrance. Deep in the outreaches of human civilisation, far from the heartland of the Radch where her life began, Breq is searching for a secret that could topple an empire. She is all that remains of the vast military starship Justice of Toren – an artificial intelligence that once commanded thousands of human ancillaries. It was lost twenty years ago, and now Breq is alone. But she knows who betrayed her. And she knows how to avenge herself. Ancillary Justice is a remarkable novel, skilfully constructed around a fascinating concept. Breq is one of the most unusual characters I’ve ever encountered and it took me some time to settle into the structure of the book, but its quiet emotional depth and excellent world-building hooked me in. I especially love how Leckie plays with different languages within her universe to reveal cultural norms and ingrained biases. There were a couple of characters whose behaviour changed too quickly for my liking, without quite enough explanation, but overall the support cast of Ancillary Justice were strong. The Imperial Radch series continues with Ancillary Sword. This was the novel Diana Wynne Jones was working on at the time of her death and as such would have remained unpublished had her sister not finished writing it in her stead. It is to Ursula Jones’ credit that I couldn’t tell while reading where one author left off and the other started. Diana Wynne Jones was one of the greats of British fantasy – The Islands of Chaldea is not the best of her works but it contains the same eccentric magic and playful twists that made her work so irrepressibly fun. She will be much missed. 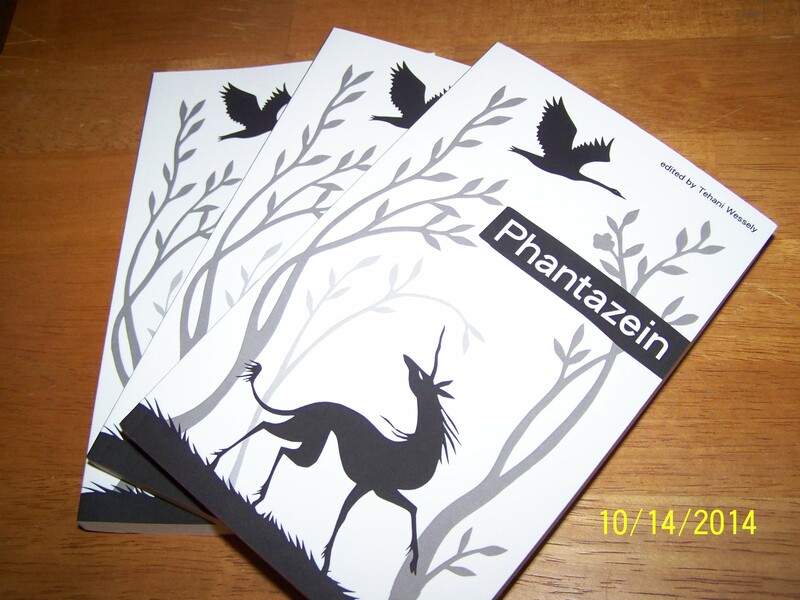 2014 has already been a fantastic year for me as a writer, and this month kicked off to an excellent start with the launch of Phantazein, the latest FableCroft anthology. It is home to my fairy tale retelling ‘Twelfth’, which is about love and betrayal and bad life choices. As you can see, my copies arrived today in a parcel of gorgeousness. Print and electronic options are available here. 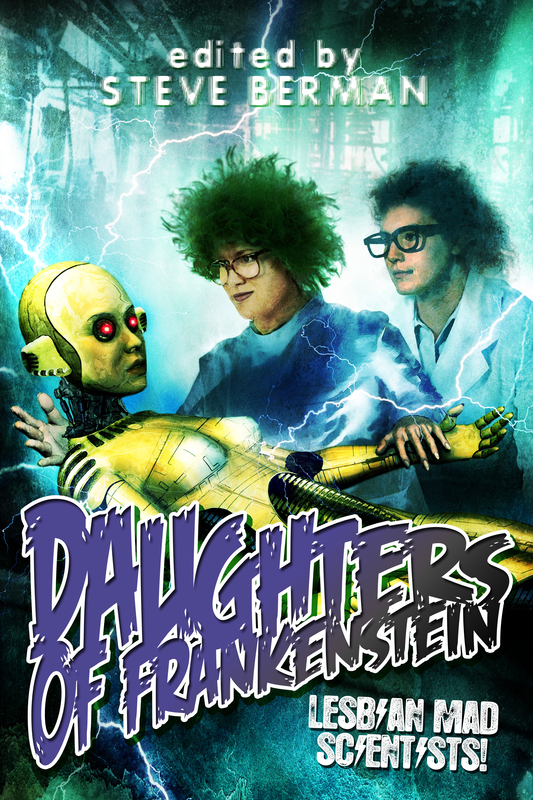 My work will also be appearing in Lethe Press’s anthology Daughters of Frankenstein, scheduled for release in February next year! It’s a collection of short fiction about lesbian mad scientists, which has to be one of the most fun themes I’ve ever written for. My story is called ‘Doubt the Sun’ – you can expect an argumentative artificial intelligence with a Regency haircut and an ever diminishing tolerance for fools. 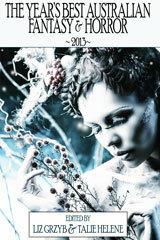 It will be the second science fiction story I’ve published. My first, ‘The Oblivion Box’, is being reprinted by Ticonderoga Publications in The Year’s Best Australian Fantasy and Horror 2013. It is such a great honour to be chosen for this collection, alongside so many wonderful writers! You can see the full table of contents here. I have one more announcement to make. For over two years now I’ve been posting weekly fairy tale reviews, analysing and enthusing and exploring folk stories from all over the world. I have loved every minute of it. I am particularly delighted at the responses I’ve received and the conversations readers have shared with me in the comments – thank you all, so much, for sharing this with me. But it feels like time to strike out for new ground, and sadly that means that at the end of this year I’ll be bringing Fairy Tale Tuesdays to a close. That does not mean I plan to stop writing about fairy tales. (Honestly, is that even possible?) I have big plans for blogging in 2015, not complete enough to share yet, but I promise there is much more than a glimmer of the fantastical on the horizon. In the meantime, there are dragons to rescue, princes to fight, and stories to tell. Always, there are more stories.